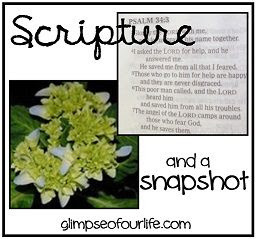 Thanks for visiting Scripture & a Snapshot. Leave your link below and comment on the link before yours. I hope your week is filled with God's joy! God makes me dance in my heart every day. :) Love your photo! "Dance in your heart" I love that! 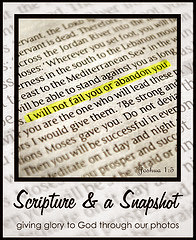 this picture and Scripture made me smile! Love it! It was an evening filled with smiles and laughter. Thanks! Me too, I'm holding tight to it. Yes, He HAS filled me with joy. I was wailing and poverty stricken. NOW? Dressed beautifully, inside and out, by the love of the Lord ... and loving/dancing with and for others. HALLELUJAH! !